Noblemania: Tone difference between "Boys of Steel" and "Bill the Boy Wonder"
Tone difference between "Boys of Steel" and "Bill the Boy Wonder"
I just got my copy of Boys of Steel today, which was great. 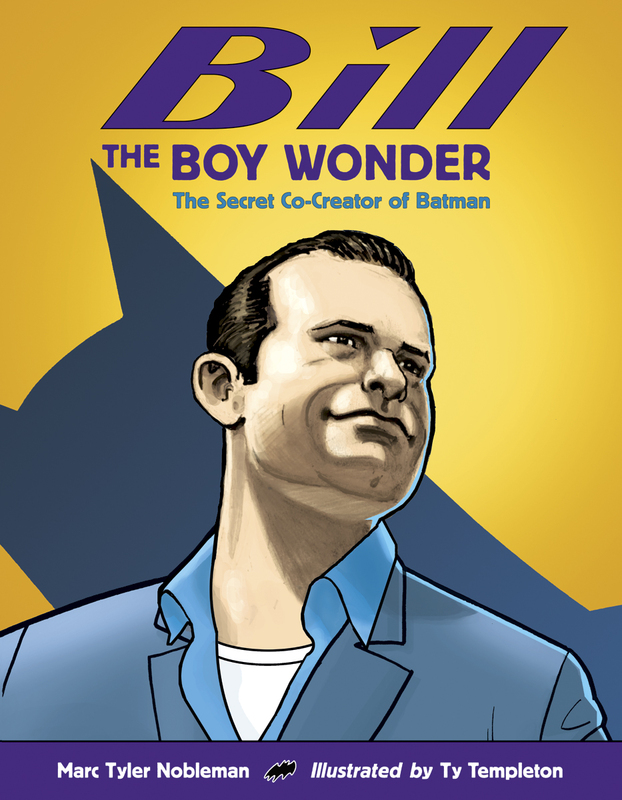 It had a slightly different tone than Bill the Boy Wonder, which I assume is because Siegel and Shuster’s creation of Superman has never been disputed, so you were probably just looking to tell their story as opposed to building a case for them. 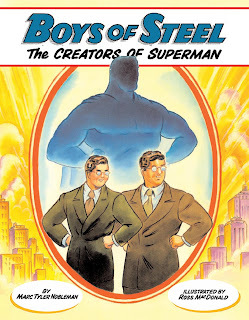 The illustrated part of the story only covered the creation of Superman, while Siegel and Shuster’s later legal and financial problems were addressed in the text piece. When you wrote Boys of Steel, was your intention mostly to just tell their story...while with Bill the Boy Wonder, it became more of a crusade to ensure that Finger got the credit he never received for co-creating Batman? Even though they suffered through rough times, Siegel and Shuster did eventually receive the credit and (some of the) money they were entitled to...something that Finger never achieved. I find it interesting...and perhaps appropriate...that the Superman book seems more bright and positive while the Batman book has a slightly darker tone because of this.